There are many things in my life that I love… however this post deals with 2 specific elements in that group. Those 2 elements are Baseball and My Sister. For regular followers of my Twitter Feed, you know I love baseball. I don't splurge on much in my life, but one of the things I treat myself to every year is renewing my season ticket package so that I can watch my beloved Kansas City Royals. Now before you start with the jokes, no one knows better than I their history since 1986. However, they are MY team and it's MY hometown, so I suffer… but I still watch. However, for this post, the other element is my sister. I only have one sibling… at it's her. I won't get into *all* the details, but here is a brief overview. About 6 years ago she noticed a small lump and went to the doctor for an exam, a mammogram followed. She was told to speak with her doctor who told her to "get her affairs in order". What followed was a roller coaster ride that encompassed about 3 months. Panic and fear, hugs and tears. It was a time the family struggled through. Long story short… she beat it. My sister is a survivor!!! Because of what we went through as a family, I've "gotten in touch with my inner pink". I've become passionate about helping other families not have to go through what we did. It's probably one of the reasons that I'm so passionate about helping detect oral cancer at its earliest stages as well. So, when I saw the info below, I knew I had to pass it along to all of you. This is a great opportunity to help someone less fortunate and to also have a chance to see the MidSummer Classic here in KC. If you have the means, it would mean a great deal to me if you could help. Even if you don't love baseball like I do, I'm sure there's a woman in your life that you love as much as I love my sister. Do it for them! 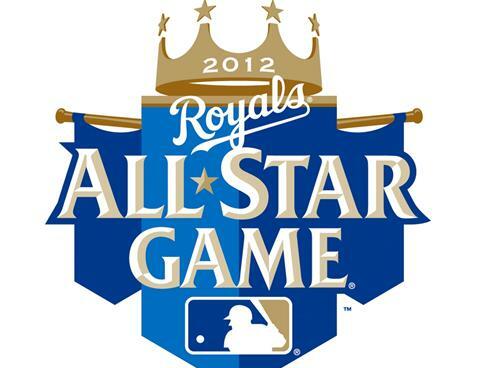 Your chance to Win 2 Tickets to the 2012 All-Star Game! Kansas City is heating up with All-Star Fever. Want to be a part of the excitement? If you are one of the first 160 people to make a $160 donation by clicking here, your name will be entered in a drawing for 2012 All-Star Game tickets! Why $160 Dollars? This is the average cost for a clinical breast exam and a mammogram in Kansas City. We know that there are uninsured or underinsured women who cannot afford to get screened. Your donation could be used to provide someone right here in Greater Kansas City a potentially life-saving screening through our community grants program. Regular screenings like clinical breast exams and mammograms help find breast cancer early, when it is the most responsive to treatment. When breast cancer is caught before it spreads beyond the breast, the five year survival rate is 99%. This is up from just 74% in 1982. This special opportunity ends once we have received 160 donations. So don't delay, make your donation today! Know someone else who might be interested? Please feel free to forward this message to a friend. To avoid receiving duplicate emails, please remember to login to website using your user name:jflucke@denticle.com and password: please email me my password at the top of the page. Want to do more? Register for the All-Star Game Charity 5K & Fun Run on Sunday, July 8th at 7:30AM indowntown Kansas City. Kristin Chenoweth (Wicked and Glee) as well as many MLB Legends will be in attendance. Your registration supports Komen Kansas City as well as two other cancer charities. Through July 3, use the code "Promise" to save $5 when you join Team Komen. All participants who cross the finish line will receive a MLB medal and the official All-Star Game Charity 5K and Fun Run t-shirt.